Serena is an adaptation of the New York Times best-selling Ron Rash novel about George (Cooper) and Serena Pemberton (Lawrence), a newlywed couple who travel from Boston to North Carolina to seize control of the timber industry in 1929. Serena soon shows herself to be very brave: overseeing crews, hunting rattle-snakes, even saving a man’s life in the wilderness. Together, Serena and George, kill or vanquish all who put obstacles in the way of their ambitions. But soon Serena learns that she can never have a child. And infidelity and infertility leads Serena to plot the murder of George’s illegitimate son while attempting to keep their timber land from being taken by the government simultaneously. So, this highly anticipated movie is directed by Oscar-winner Susanne Bier (In a Better World, Things We Lost in the Fire) from a screenplay by Christopher Kyle (Alexander). I thought Serena was dressed more or less like a man when she arrived, I seem to remember pants and boots. Any news about who is going to play Rachel? Originally it was thought that Angelina Jolie would play the role of Serena, but looks like Jennifer beat her our and got the role after all. It will be interesting to see if Jennifer can pull that off! Yeha, Jennifer is one busy actress nowadays! 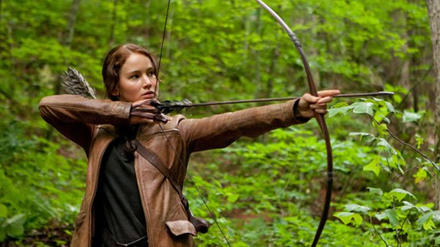 After shooting Serena, she moves on to the PG-13 Hunger Games sequel Catching Fire in August, and the X-Men: First Class sequel in January 2013. I’ve read Serena and it is by far one of my favorite books. It is written so good. Such a good thriller, I didn’t want to put the book down! I can’t wait to see the movie!